Traveling With Purpose: Landing in Beirut Lebanon...what would I experience? Landing in Beirut Lebanon...what would I experience? I spent a few weeks of prepping to go on my trip to Lebanon and Jordan with World Vision. Their staff spent an enormous amount of time getting ready for us and getting us ready for what we were about to experience. I must have read 15 articles, and watched a bunch of videos getting educated about the Syrian refugee crisis. This crisis as you will discover will go down as one of the greatest human tragedies in history. This would be my first trip to the Middle East. I have always wanted to go to Israel, but just never made it. 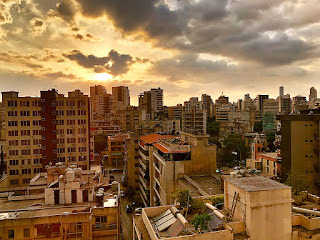 Lebanon would be my first experience in the Middle East. As I prepared to depart my mind was racing with thoughts. What would I see? How would people see me? What would Beruit be like? What kind of Biblical history would I encounter? What would I feel? What will it be like to be in a Syrian refugee camp? What parts of Lebanon would we visit? You can see that all of these questions could lead a person to a fear-based response, but for me, this is all a part of the adventure of discovering more of the world that God created and loves. Like I said in my previous post, don't let fear rob us of what God wants to do in us and through us. One thing I learned in prepping for this trip was the difference in how different cultures approach different topics. Our American culture has a lot of overarching themes we encounter every day. Sadly, much our own current tensions are divided over themes like right versus wrong, my way or your way, polarized political views, people being defined by the color of their skin instead of their humanity, winner versus loser, etc. We live in a very Individualist culture where every person is out to better themselves, while much of the world lives in a Collectivist culture where individuals contribute towards the good of the whole. Sadly even as I write those words, some have already decided which one is better. As I boarded my United Airlines flights from San Diego to Newark, and Newark to Paris, everything was pretty much the same as most flights I've been on when traveling to Africa. This, however, would be my first flight to Paris. I had previously been to France with my wife, but we did not make it to Paris. I thought my 3-hour layover would be plenty of time for transitioning to my Beirut flight. Two bus rides and a train ride later, I finally made it to the International terminal where Middle East Airlines was located. I went through several security points. When I walked up to the gate, the whole flight had already boarded. As I boarded the plane, my seat was all the way in the back. As I reached my seat, I greeted the person to my right. He was from Lebanon and was super nice. One of the things I've learned about International travel is that most International airlines are pretty nice. This particular plane I was on was from the 80's or 90's, but more than adequate. It was clean, the food was good, and the service was too. I got some sleep and then awoke as we started our descent into Beirut. I did not have a window seat but I could see out the windows as we approached the coastal city. The first thing I noticed was that Beirut was a very vertical city. Pretty much the whole city is multi-storied buildings. It was like flying into San Diego with a similar skyline as far as you could see. There were newer buildings and some that looked a lot older. As we got off the plane, I noticed that the Beirut airport was really nice! I guess I wasn't sure what I'd see. So far my experience was actually quite normal. As I walked towards baggage claim, I was met by the VP of World Vision. I couldn't actually believe that I was about to spend a week with him. I wondered what he would be like. He actually turned out to be amazing! He was so kind, super smart, an amazing leader, and very down to earth. He had a tremendous passion for helping the poor and leading others to do the same. I could tell we shared a lot in common in that department. We met our driver and headed off to our hotel. We stayed at a modest hotel, out of the main "tourist" hotel section of the city. That was on purpose and part of the security detail we were on. World Vision takes great care of their guests and thinks through every situation. The hotel staff knew our host and was very kind, welcoming, and helpful. We arrived at the hotel at about 4:30pm and decided to get cleaned up and then meet at 5:30pm for dinner. We Ubered to a small, simple French restaurant. The food was delicious and the restaurant owner was very welcoming. 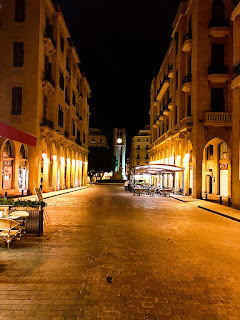 After dinner, we decided to take a walk into downtown Beirut. As we entered the downtown area, it was just getting dark. 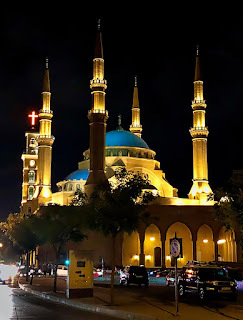 We walked by something that I found would end up being quite common in Lebanon... a Muslim mosque right next to a Christian church. These two facilities were spectacular to behold! They were lit up with beautiful lighting and were in a very nice section of downtown. I took a few pictures and then we walked down to a shopping area. It was a bit of an eerie area, full of very high-end stores, but with virtually empty streets. It was like walking down Rodeo drive in Beverly Hills with only a few people around. 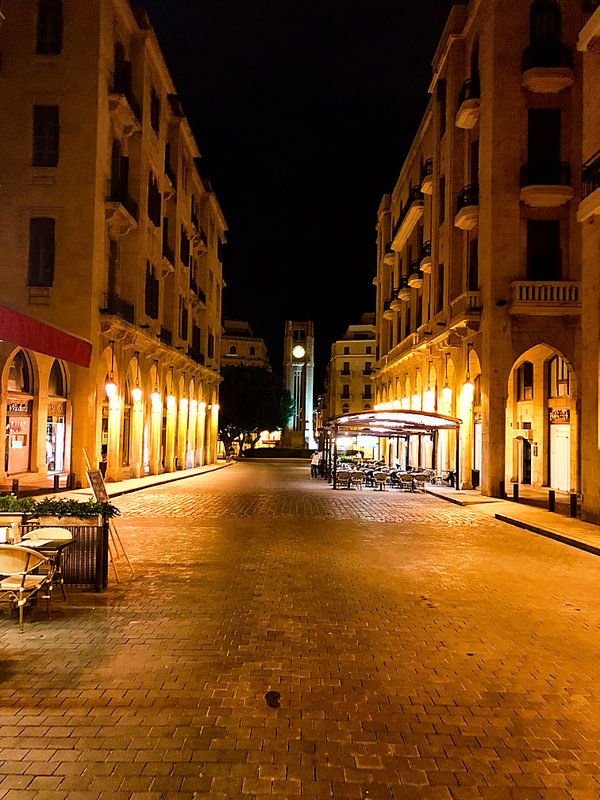 Restaurants that spilled into the streets were empty and the only people around were the heavily armed guards, part of the Lebanese army that patrolled the streets to keep it safe. Those kinds of sites used to freak me out, but it's no different from the police that patrol Time Square in New York City. I was actually kind of glad they were around. It was a beautiful evening and once again, I found myself feeling quite comfortable in these new surroundings. So where was all the drama? Where was all the tension? 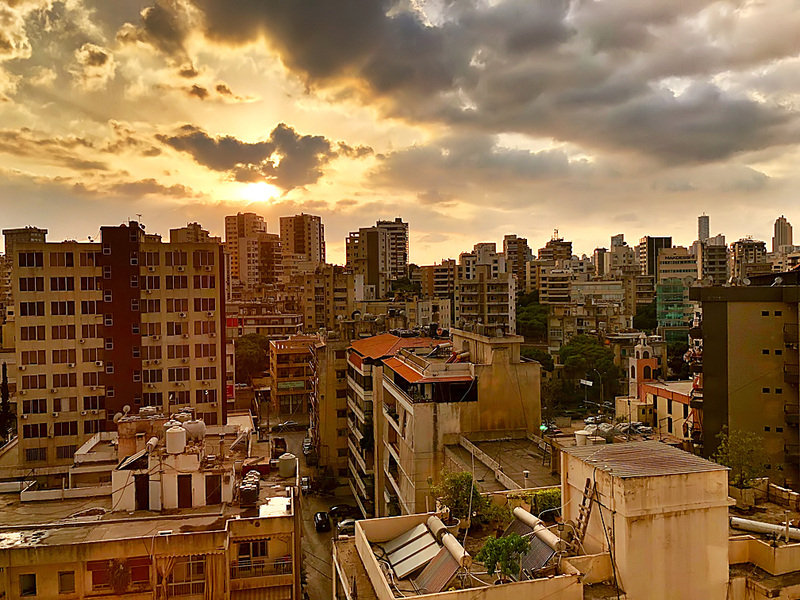 No doubt, there have been times like that in Lebanon, but in general, we moved freely in this part of the city, much like we would in downtown San Diego. The Lebanese people as I would learn, are some of the most loving, gracious, hospitable people I'd ever meet. This was not the city or country I read about on the US State Department website. Once again, the caricatures we read about in the news paint a picture that is way different from reality. I felt very safe and welcomed. The sad thing about the media's portrayal of Lebanon is that it is fear based, much like their portrayal of going to Mexico, or many other countries in the world. Here is a news flash: Yes there are bad things that happen in Lebanon and Mexico. But don't forget that there are also bad things that happen in San Diego or Las Vegas. Yet, we would never apply the same logic to traveling to either of these places. I think the real tragedy of Lebanon is what the media is NOT reporting. It's the often untold story of what will go down as the worst humanitarian crisis the world has ever experienced to date. The story of the demise of Syria and the hundreds of thousands of people who lost their lives to war and terror, and the millions of people who have had to flee their homes and country looking for hope... hope for their families, and hope for the future. The strain of this refugee crisis is crushing Lebanon. What I would experience in the next few days would change my life on a whole new level. As I share my visits to the Syrian refugee camps and schools in Lebanon, you will hear of my sadness as well as experience the joys of hope as I lament over the opportunities we are missing of providing hope for those who desperately need it. Stay tuned. Beautiful photos, I love traveling through your words.